LAX Limousine Serivce to Beverly Hills. Burbank Airport to Beverly Hills. Classical and Luxurious, the sedan is great choice if you’re looking for complete comfort or a luxury transportation from LAX Airport to Beverly Hills. Luxury SUV or Van are a great way to get to the Los Angeles airport if you have more than 3 passengers. Stretch limousine 10 Passenger is perfect for wedding, party, prom, Night at town, private tours in Bevelry Hills, Rodeo Drive or a luxury Transportation from LAX Airport to Bevelry Hills, Rodeo Drive. Hummer limousine 20 Passenger is perfect for wedding, party, prom, Night at town or private tours in Bevelry Hills or a Luxury Transportation from LAX Airport to Bevelry hills, Rodeo Drive. Standard limousineservice company is licensed and insured for your protection, permitted with the Los Angeles department of transportation. We Provide you Stretch Limousine or Hummer Limousine from point to point or hourly. We have affordable limo rates for a luxury transportation from LAX Airport to Bevelry Hills Hotels. Los Angeles International Airport LAX to Beverly Hills. Burbank Airport BUR to Beverly Hills. Bevelry Hills, Rodeo Drive, Hollywood, Santa Monica tour. Beverly Hills to San Pedro cruise terminal. Wedding, Party, Birthday, Graduation or other special events. Beverly Hills to Universal Studio Hollywood, Disney Land Anaheim. Hotels in Bevelry Hills, California. 4 Hours limo tour in Bevelry Hills, Rodeo Drive with Town Car $199. 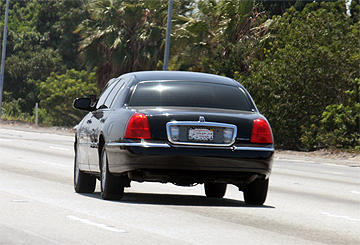 4 Hours Limo tour in Los Angeles with Stretch Limousine $280. Reliable limo service in Beverly Hills. We provide a limousine service in Bevelry Hills, Limousine Service from LAX airport to your hotel in Bevelry Hills, we offer luxurious transportation to any event while they are in Los Angeles. We have 24 Hour Limousine Service. The Greystone Park entrance is located at 905 Loma Vista Drive, Beverly Hills, CA 90210. The Greystone Park office, inside the Estate's original gatehouse, is located at 501 Doheny Road, Beverly Hills, CA 90210. Beverly Hills is a city in the Los Angeles County, California, United States. Beverly Hills and the neighboring city of West Hollywood are together entirely surrounded by the city of Los Angeles. Bevelry hills Limousine service, Rodeo Drive, LAX limousine service, Burbank Airport limo, Long Beach Cruise Terminal Limousine.